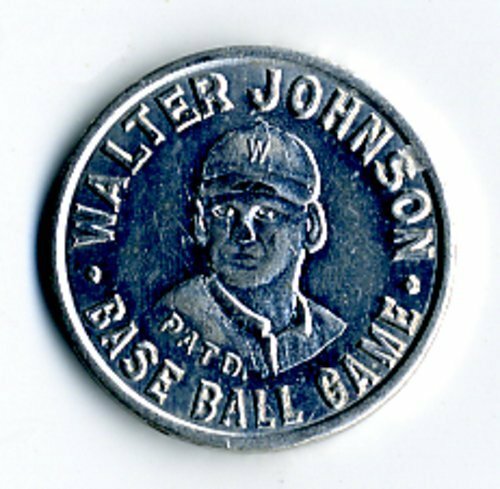 This aluminum game piece has an image of baseball pitcher Walter "Big Train" Johnson. Johnson (1887-1946), from Humboldt, Kansas, gained fame pitching for the Washington Nationals Baseball team. This game piece is from the Walter Johnson Baseball Game made in 1915.